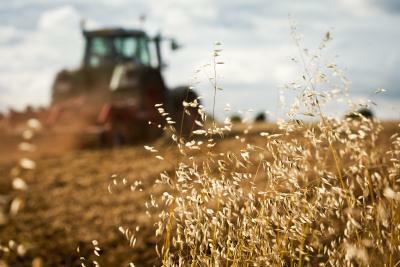 We regularly receive questions about Iowa’s anti-corporate farming laws. What are they? Whom do they affect? What are the penalties for violation? This month, we’ll provide a general overview of Iowa’s corporate farming restrictions, attempting to address these and other basic issues. The stated purpose of the 1975 vertical integration restriction was “to preserve free and private enterprise, prevent monopoly, and protect consumers.” In 2003, a federal court declared the restriction unconstitutional[i] after Smithfield Foods, the world’s largest pork processor, challenged its constitutionality. Although the Iowa Legislature promptly amended the law, the Iowa Attorney General (AG) and Smithfield Foods entered into a 10-year consent decree before the new law could undergo further court review. Under this consent decree, the AG agreed not to enforce the vertical integration laws against Smithfield Foods, and Smithfield Foods agreed to provide its contract producers with a bill of rights. Smithfield Foods also agreed to donate $ 1 million over the course of 10 years to enhance swine production in Iowa. 2015 was the final year for this grant program. After a federal court approved the decree, other processors filed similar lawsuits attacking the constitutionality of Iowa’s vertical integration restrictions. These producers also settled their legal challenges with the AG, agreeing to the basic terms of the Smithfield Foods consent decree. These consent decrees expired on September 16, 2015, without fanfare. The decrees provided that, upon expiration, the rights of the parties were to return to where “they stood prior to the entry” of the decree. The decrees also provided, however, that any long-term contracts signed prior to the decrees’ expiration would continue to operate under the terms of the decree, even after September 16, 2015. Although Iowa’s vertical integration restrictions remain on the books in Iowa Code § 202B.201, it is unclear whether the AG will initiate enforcement, given the swift, sure litigation that would follow. The second type of anti-corporate farming laws in Iowa are restrictions on the ownership of “agricultural land” by corporate entities. Iowa Code Chapter 9H contains a number of restrictions on what types of entities may acquire or lease agricultural land in Iowa. Although the law contains a number of exceptions, it generally prevents corporations, LLCs, or trusts from acquiring or leasing land “suitable for use in farming in Iowa.”[ii] Carved out of this requirement are a number of exceptions too detailed to enumerate in this general overview. Several key exceptions, however, allow corporations or other entities to take a security interest in agricultural land, conduct various research and experimental activities on agricultural land, or acquire agricultural land for non-farming purposes. The general restrictions on corporate acquisition of farmland also do not apply to certain family entities or to “authorized” entities. One question we often receive is whether a family entity can own farmland and then cash rent that land to a tenant. Although the statute does not specifically address this arrangement, it appears that leasing farmland to a farming tenant would meet the “farming” requirement under the statute. As such, a family entity should be able to retain ownership of farmland, even if it enters into a cash rental agreement with a tenant. Another category of entities, called “authorized” entities may also acquire Iowa farmland under Iowa law. Farmland ownership by these entities, however, is subject to limitations. The statute generally allows “authorized farm corporations,” “authorized LLCs,” “authorized trusts,” and “limited partnerships” to acquire or lease farmland, as long as the total land owned does not exceed 1,500 acres. Iowa law authorizes the AG and county attorneys to enforce the anti-corporate farming laws by initiating legal actions to prevent and stop violations. The statute also authorizes civil penalties in an amount up to $25,000 per entity. [v] Violations may also subject an individual owner of an authorized entity or a beneficiary of an authorized trust to a potential penalty not to exceed $1,000. Although these laws have existed for many years, cases analyzing Iowa’s anti corporate farming laws are few. Furthermore, several of the exceptions and provisions in the law are complex. Any entity planning to acquire or lease Iowa farmland should seek experienced legal counsel to investigate options available under current law. [i] Smithfield Foods, Inc. v. Miller, 241 F. Supp. 2d 978 (S.D. Iowa 2003). [ii] Iowa Code § 9H.1(2). [iii] Iowa Code § 9H.1(8), (9), (10), (11). [iv] Iowa Code § 9H.1(3), (4), (5 ). [v] Iowa Code § 9H.5(3).